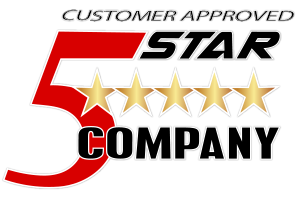 At Fence Factory, we recognize that not all pools are created equal. We also realize that the needs of all homeowners with a pool are not the same in regards to safety. 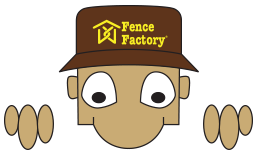 Our fence specialists can help custom build the perfect pool fence for your home that will comply with all city requirements. 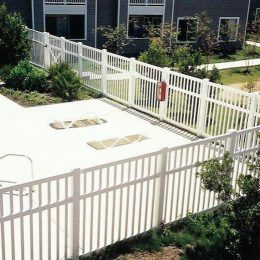 All of our pool fence products are manufactured at the highest level of quality and meet the Pool Safety Barrier Guidelines that have been established in the United States. Get ready for that sunny weather! 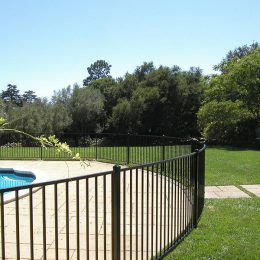 If you’re looking for pool fence from Los Angeles to Central California, we can help. We can build your new pool fence out of your choice of materials to fit your design and budget, from wood to ornamental iron to vinyl to chain link. We also have the gates to match! Speak to one of our fence specialists today to find the perfect pool fence for your home or receive an instant quote regarding pool fence supplies and installation for your nearest location.